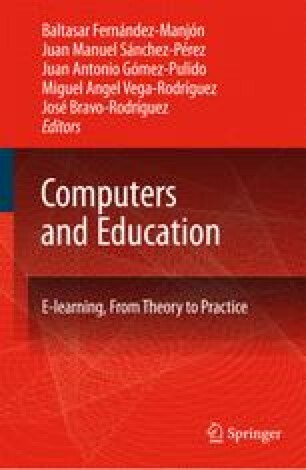 This chapter presents a platform for supporting education tasks; we call it SWAD (in Spanish, it stands for Web-System for Education Support). This platform has been gradually developed during the last 7 years and is currently used at the University of Granada in more than 578 different subjects of different degrees. We describe here the various web services provided by the platform for students and educators, such as electronic index card, class photograph, document downloading, student self-assessment through multiple-choice exam, online checking of grades, internal web mail, discussion forums and electronic blackboard. The chapter also gives details about its implementation and provides evaluation statistics about its use and users’ opinions after testing the platform.